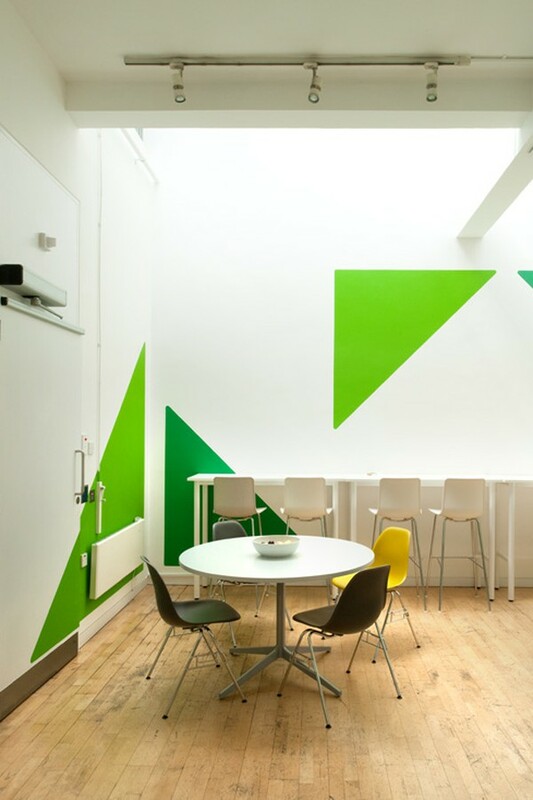 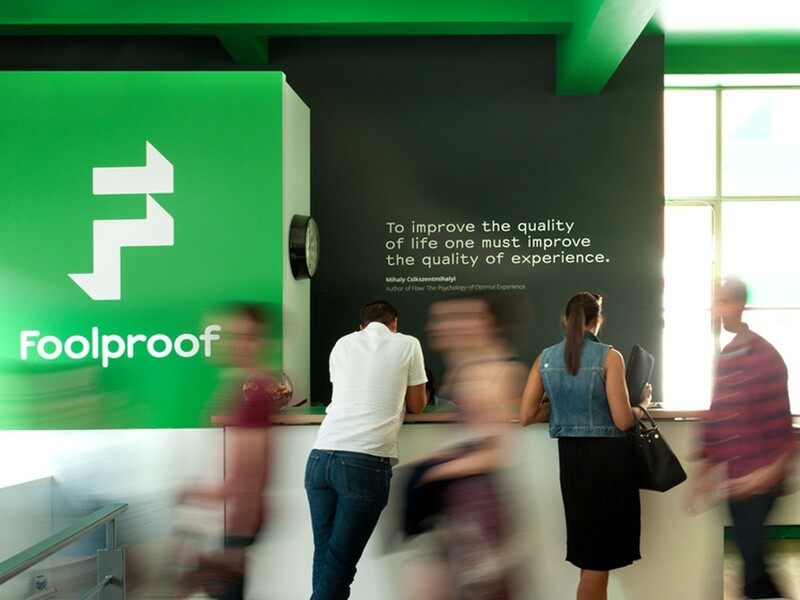 BKD were approached by experience design agency Foolproof to reinvent their Clerkenwell office. 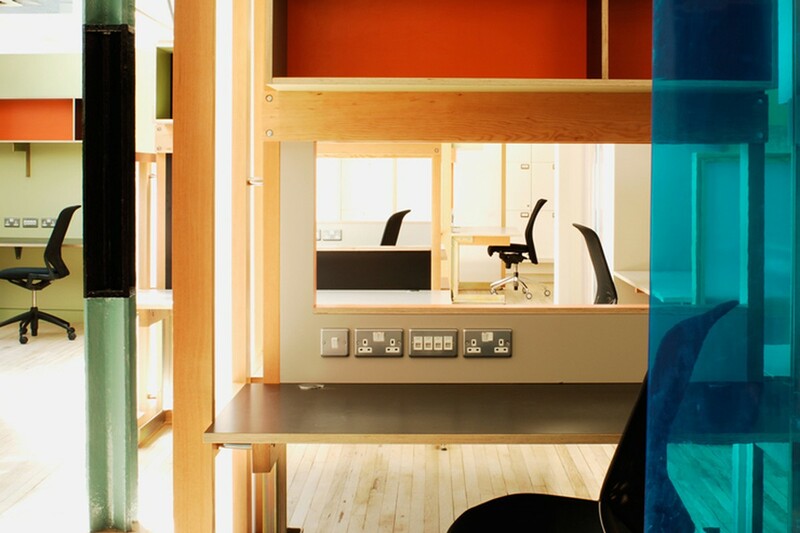 The brief called for a refurbishment of the client facing areas and the multi-use spaces, accommodating Foolproof’s various business activities including ‘strategy & planning, research, design and creative technology’. 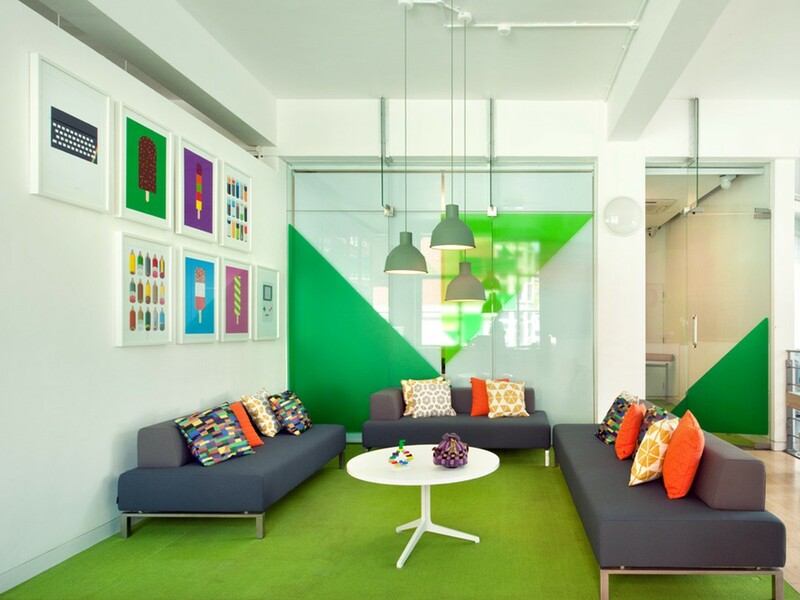 BKD used applied colour and graphic treatment for large-scale impact through the open-plan office. 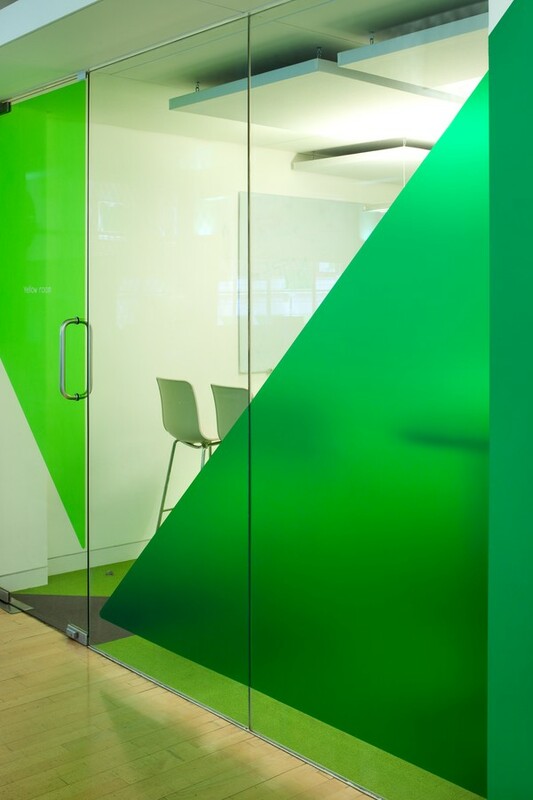 Maximising on views from the large surrounding windows, BKD ensured a company presence was expressed at street level as a dynamic introduction to the Foolproof brand. 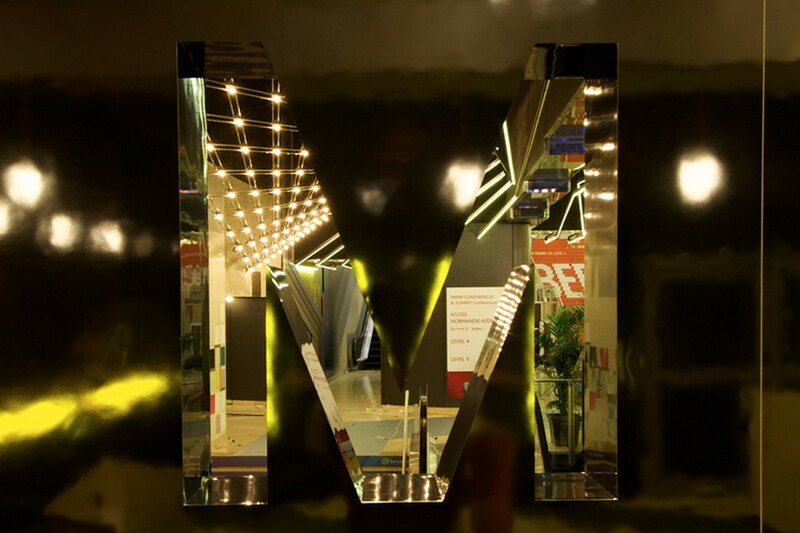 The company branding and colour palette was manifested through both the 3D approach and material selection. 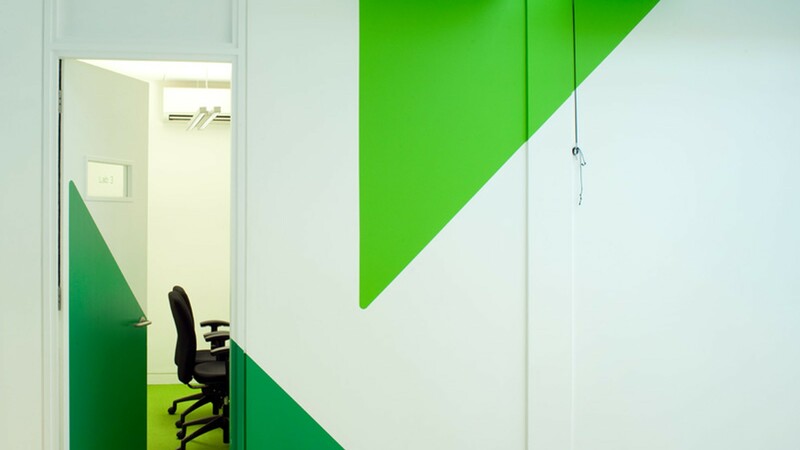 With a focus on reception, social spaces and meeting rooms - BKD developed bespoke solutions to define high activity environments and encourage creative working.